The purpose of this chapter is to provide a synthesis of the current body of knowledge on Responsible Research and Innovation (RRI) as an emerging paradigm and a novel approach to governing science and innovation with the aim of making them ethically acceptable and socially desirable. 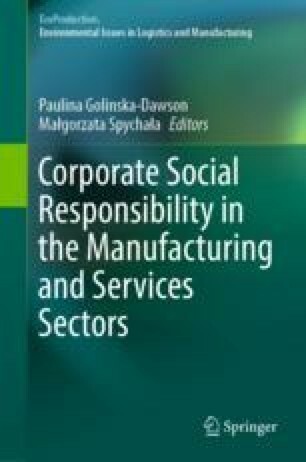 The text focuses on RRI relevance not only as a new framework for research and innovation policy but also as a novel expression of Corporate Social Responsibility (CSR) in enterprises engaged in technological innovation. Theoretical and practical issues concerning the link between RRI and CSR are studied. Additionally, an approach based on Future-Oriented Technology Assessment is proposed as a practical mechanism of advancing RRI in an enterprise or a whole sector. European Commission. (2011). DG research workshop on responsible research & innovation in Europe, Brussels, 16–17 May 2011. http://ec.europa.eu/research/science-society/document_library/pdf_06/responsible-research-and-innovation-workshop-newsletter_en.pdf. European Science Foundation. (2013). Science in society: Caring for our futures in turbulent times. Science Policy Briefing No. 50. http://archives.esf.org/fileadmin/Public_documents/Publications/spb50_ScienceInSociety.pdf. Geoghegan-Quinn, M. A. (2012). Keynote speech at the “Science in Dialogue” Conference. Odense, 23–25 April 2012. http://ec.europa.eu/archives/commission_2010-2014/geoghegan-quinn/headlines/speeches/2012/documents/20120423-dialogue-conference-speech_en.pdf. Grunwald, A. (2011). Responsible innovation: Bringing together technology assessment, applied ethics, and STS research. Enterprise and Work Innovation Studies, 7, 9–31. www.itas.kit.edu/pub/v/2011/grun11c.pdf. Hardeman, S. (2015). Discussion with J. Stigloe’s “Against Excellence” talk. Joint Research Centre. https://youtu.be/xDxOvKfr9MY?t=44m56s. Lund Declaration. (2009). Conference: New worlds—New solutions. Research and Innovation as a Basis for Developing Europe in a Global Context, Lund, Sweden, 7–8 July, https://era.gv.at/object/document/130/attach/1lund_declaration_final_version_9_july.pdf. Responsible Industry. (2017). Responsible industry: Guide for the implementation of Responsible Research and Innovation (RRI) in the industrial context. www.responsible-industry.eu.